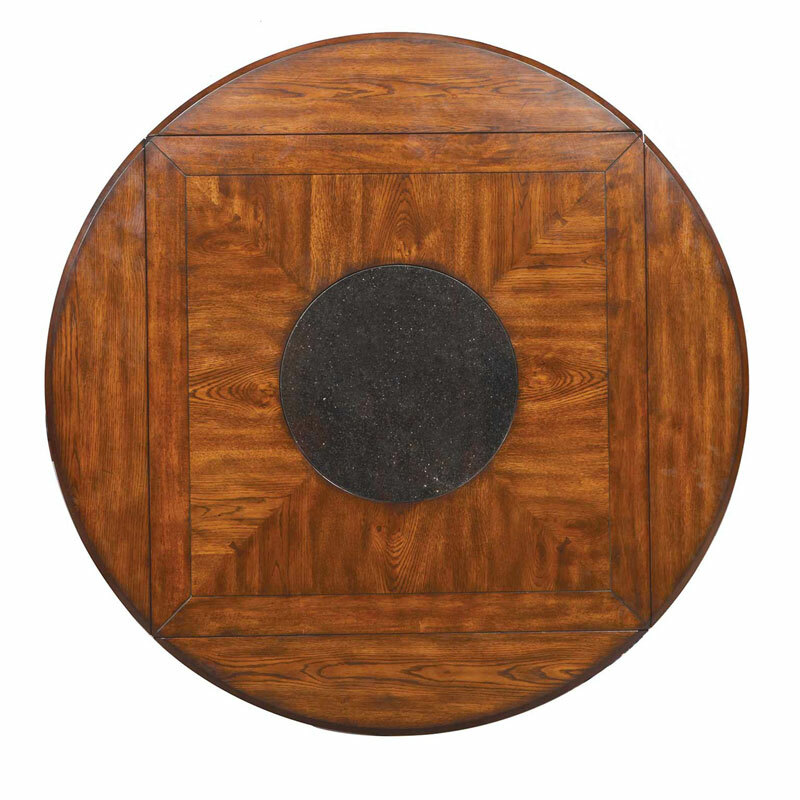 Zahara 60 Inch Round Table with Granite Lazy Susan (36″ H). 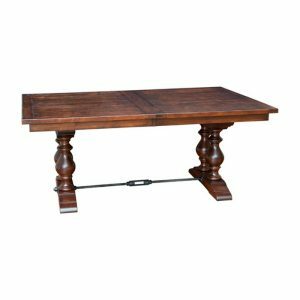 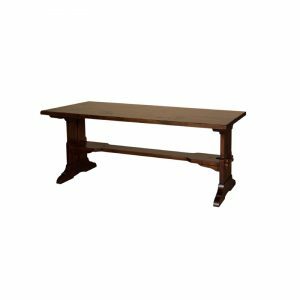 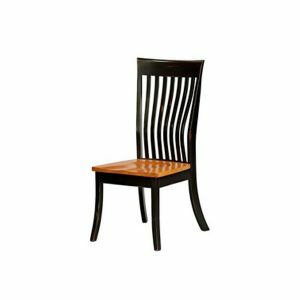 Reminiscent of fine Mission furniture, the Zahara collection offers sturdy, functional dining in a traditional medium oak finish with chamfered tenon and bowtie joint details. 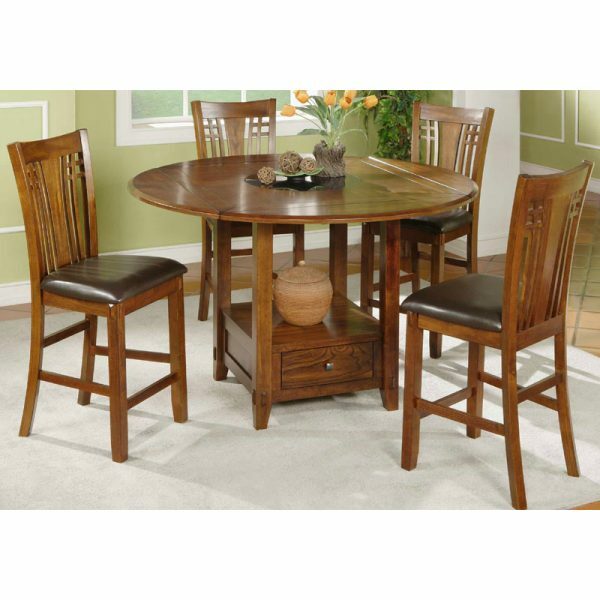 Features include: Solid North American red oak and oak veneer, Storage pedestal, Push-through drawer can be opened from 2 sides, 9″ drop leaves on 4 sides converts 42″ square table to 60″ round table, Removable granite lazy susan, Lightly distressed finish, Shown with 24″ Barstool.